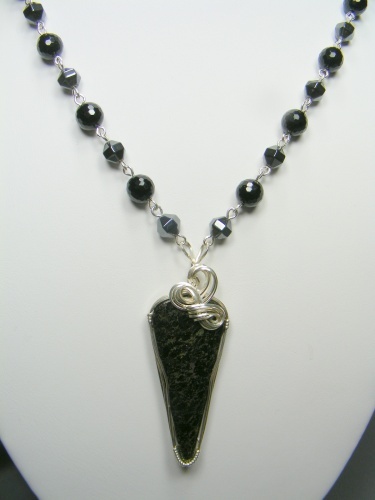 This pretty necklace is so dramatic with its onyx and hematite beads and a gorgeous pulsite gemstone focal wrapped in luscious sterling silver curls. Piece comes with complimentary matching earrings. Measures 18" long and has a locking sterling silver clasp.